Live views from the famous Duval Street in Key West. Check out the live cam location and view whats going on in the Keys! The camera, located across the street from Sloppy Joe’s Bar, shows a live view of Duval Street in Key West, Florida. With this camera you can move the view – BUT ONLY if you are the primary viewer. This may be the most popular web cam during Fantasy Fest! 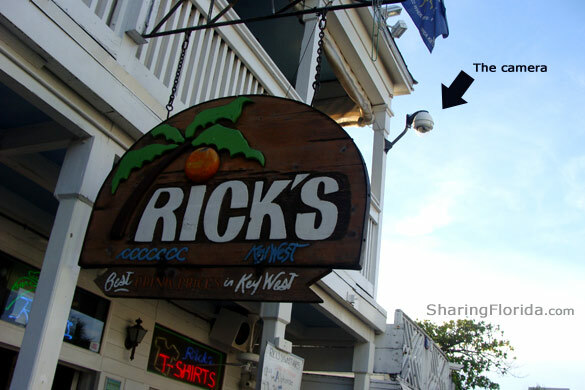 The photo below shows the actual location of the cam, which isn’t obvious to most of the people walking around Duval Street.